At this point, everybody knows that fried foods aren’t very healthy for us. But giving up your favorite crispy fried chicken or crunchy fries isn’t easy, and frankly, most of us would rather stick to our unhealthy oil-laden fried dishes than give them up altogether. Luckily, that doesn’t have to happen; at least not if we change our cooking methods and use an air fryer instead of a deep fryer. Air fryers give you all the crispiness of fried food minus the unhealthiness associated with deep frying them in oil. How do they do this, you ask? By cooking them in the hot rapidly circulating air so that you get the same crunchy/crispy texture without the greasiness. 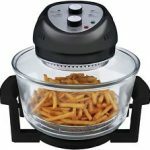 What’s more, air fryers are super affordable! Don’t believe us? Check out these hot picks that won’t bust your budget. So with that said, let’s get on to the rankings. You aren’t likely to be disappointed by this electric hot air fryer if it’s your first time buying one. 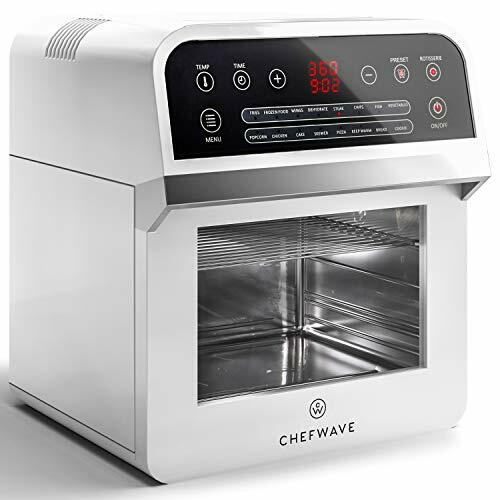 It has a food basket with a 5-liter capacity (or 5.3 quarts if you like), and it uses rapid hot air technology to make crispy dishes in no time. The food basket is big enough to make a family-sized meal in one go so that everyone can get it while it’s still hot. Some of the features you’ll love in this air fryer include a cooking timer that runs for up to 60 minutes and an automatic shut-off feature that turns off the air fryer once your food is done. And if you’re worried about ending up with under cooked food, don’t be; the air fryer’s variable temperature control runs from 180 degrees to 400 degrees Fahrenheit. 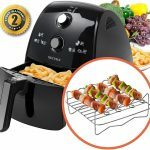 The Secura Hot Air Fryer also comes with goodies and accessories—a recipe book, skewers, a barbeque rack, and a 2-year manufacturer’s warranty—and you’re guaranteed to have a lot of fun with it in the kitchen. Click here for our full Secura Electric Hot Air Fryer Review. To be completely honest, the Cozyna air fryer does use a bit of oil to cook your food. But imagine using just one tablespoon of oil (or less) to prepare fries, fish, burgers, and chicken as well as bake delicious pastries—amazing, right? 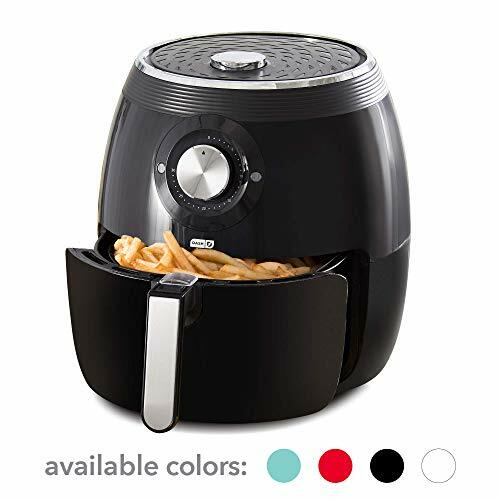 That’s not all you’ll love about the Cozyna Air Fryer, which comes with a 3.7-quart food basket that is completely dishwasher-safe. It is easy to operate and comes with a nice display that shows you what temperature you’re cooking at, how many minutes you have left on the timer and all the information you might want while your food is being prepared. 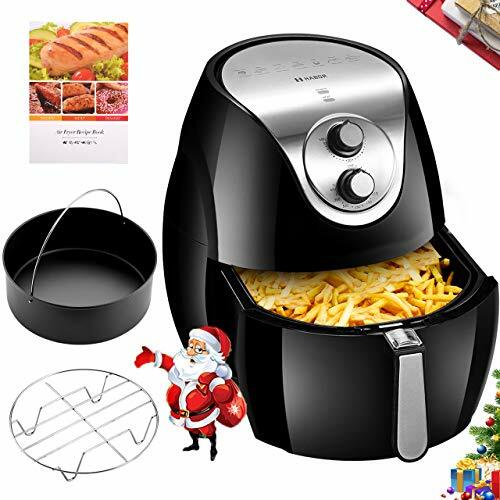 The highlight of this hot air fryer is inarguably the two cookbooks that come with it, which have a combined 50 recipes for foods ranging from fried chicken to Thai mushrooms to molten lava chocolate cake. A 30-day money back guarantee is also thrown in to give you peace of mind while you test out some of these delicious and healthy recipes. 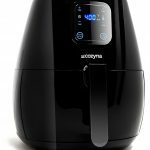 Click here to read our full Cozyna Air Fryer Review. 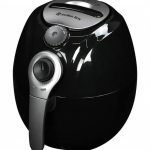 16 quarts of food capacity and a triple-threat cooking technology that uses little or no oil are what make the Big Boss air fryer one of the best you’ll ever find. The tabletop cooker’s panel is easy to operate, and you can use it when you want to set the timer, adjust the temperature settings, or select a preset program for specific kinds of foods. Not only can you cook two types of foods at the same time, but you can also use it to dry fruits since it also functions as a dehydrator. A combination of halogen heat, which browns food and makes it crispy, convection technology that circulates hot air evenly within the cooking chamber, and infrared heat that makes sure your food is well done from the inside work together to fry or bake your meals to perfection. The 1300 -Watt hot air fryer is also very energy efficient as it uses less power than any conventional fryer in the market. Click here to read our full Big Boss Oil-less Air Fryer Review. 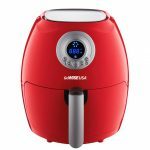 A great option for those cramped kitchens out there is the compact GoWISE 8-in-1 programmable air fryer, which is an absolute steal at any price. It has a 5.8-quart capacity, which is large enough to make a delicious fried meal for a family of four. It utilizes rapid air technology to cook your meals with little or no oil, and it always delivers food that’s crispy, brown, and delicious. Setting the temperature on this unit is a breeze, and it ranges from 170F to 400F. There’s also a timer that goes from 1 minute to 30 minutes so you can prepare a wide range of crispy foods. When the timer runs out, it emits 5 beeps to let you know. There’s also an indicator for this purpose, so you can rest easy knowing that you’ll always end up with the same crispy texture. You will also get a 50-recipe cookbook with plenty of breakfast, lunch, and dinner meal ideas as well as tasty desserts you can try out. 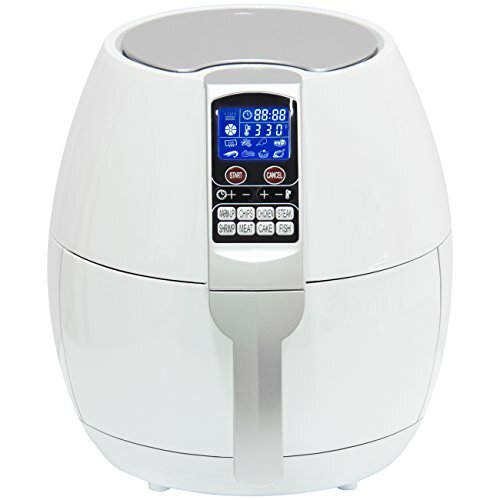 Click here for our full GoWISE USA 8-in-1 Programmable Air Fryer Review. 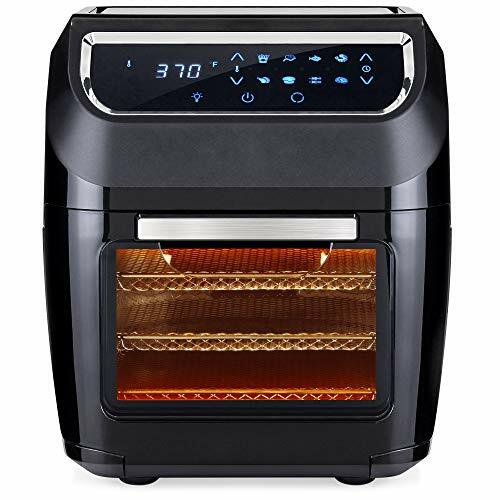 One of the reasons you may want to consider the Avalon Bay air fryer is because it comes with a 90-day money back guarantee if you’re not completely satisfied with it. Like all the other fryers in this list, it uses rapid air circulation technology to cook your favorite foods with eighty percent less oil than conventional fryers. Its 3.7-quart food basket is big enough to make family-sized meals in one go, and with its variable temperature settings (which range from 180F to 400F), you can rest assured that your fried chicken will be tender and moist on the inside. The 1400-Watt air fryer is highly energy-efficient and is made from non-BPA plastics. It also features a timer that goes up to 30 minutes and parts that are very easy to clean. The food basket is detachable just to make serving meals easy as well as to give you an easier time when it comes to cleaning. 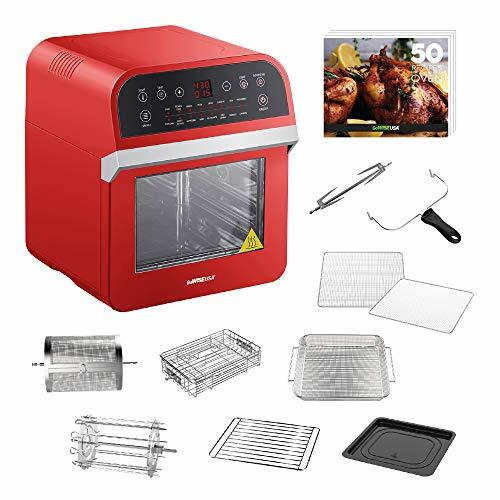 With this air fryer, you’ll also get a multi-use rack, a non-stick baking dish, and a 52-page cookbook. Click here for our full Avalon Bay Air Fryer review. With such pocketbook friendly options available, there is no reason why you shouldn’t enjoy crispy fried foods without dealing with the guilt that comes from eating unhealthy foods. 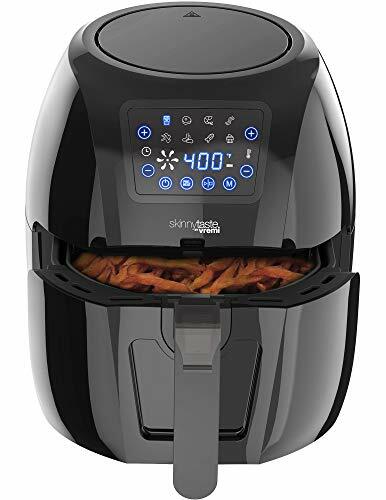 Anyone of these air fryers will fit in your kitchen—and your budget too—and will let you explore the joys of cooking sumptuous delicacies with only a fraction of the oil you would typically use. With so many affordable options out there, five of which we’ve handpicked specially for first-time buyers, you have absolutely no reason to eat foods that have been fried in the traditional (unhealthy) way.